LXII, 590 p., 4 ill., 17,6 x 24,3 cm. The ›Kirchen- oder Hauspostille‹ (Church or House Devotional Book), written in 1578/79, has been handed down in three publications which are interdependent and represent a contradiction to the established practice of devotional books in the Lutheran church. 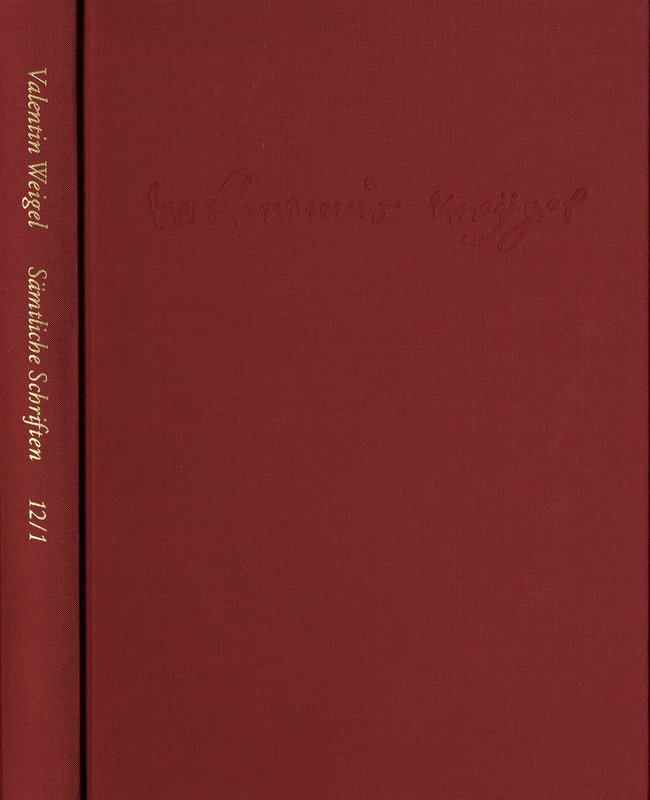 Weigel transcribes the sermons he held in the main church service in a »clandestine« manuscript. Based on the outdated homiletic tradition, he used this to summarize his independent theological and philosophical convictions formed during these years, convictions which were strongly influenced by his study of the obligation to the »Formula of Concord«, which he saw as a constraint. It was in the ›Postille‹, that modern researchers saw Weigel’s »most comprehensive, most famous work and at the same time the work most often attacked by orthodoxy« (S. Wollgast) as well as »one of Weigel’s most magnificent products« (W. Zeller). Neben allen übrigen Verdiensten des vorliegenden Bandes besteht sein Gewinn in der Anleitung zu weiterer Schärfung des Blicks für das Profil eines Autors, der nicht zufällig begeisterte Zustimmung und heftige Reaktionen der Nachwelt ausgelöst hat. Zur inhaltlichen Analyse des Autors Valentin Weigel steht noch manche Arbeit aus. Die kritische Ausgabe seiner Schriften in ihrer Abfolge stellt sich mehr und mehr als hoher Gewinn für eine solche Arbeit heraus.